Part 1: What Is ABG Interpretation? The balance of acid-base among patients can be very indicative of the patient's health and ABGs (Arterial Blood Gases) can help in determining that acid-base. Through ABGs, the oxygenation level, the acid-base level and the ventilation capabilities can be known and all this information proves useful in diagnosing a condition, understanding its severity and charting out a plan of treatment. ABG interpretation is a skill in itself and all health care professionals like doctors, physicians, therapists and nurses need to be experts in the field. Quality of interpretation can make diagnosis difficult or easy. The ABG interpretation is the analysis of results found through arterial blood gas. An ABG can provide information about the levels PaO2 and PaCO2 which indicate partial oxygen and carbon dioxide pressure. An ABG can also give pH readings of the blood sample taken from the artery. Other important levels like the level of O2CT (content of oxygen), SaO2 (saturation of oxygen) and HCO3 can also be obtained through ABGs. The blood sample for the analysis is always taken from one of the arterial lines. Blood gas interpretation is often conducted in order to investigate and measure how the gas exchange is taking place in the lungs. However, it is also done for checking the health of the ventilation system as well. It also helps doctors in keeping a check on how the patient is responding to any respiratory therapy (if it is being done). A respiratory issue which might get translated into poor ventilation or even hypoxia. Any sort of medical disease or condition which is capable of causing a strong metabolic derangement (like sepsis), heart attack, injury, burns, diabetic keto acidosis or ingestion of toxic material. A situation where your response to your treatment needs to be evaluated. 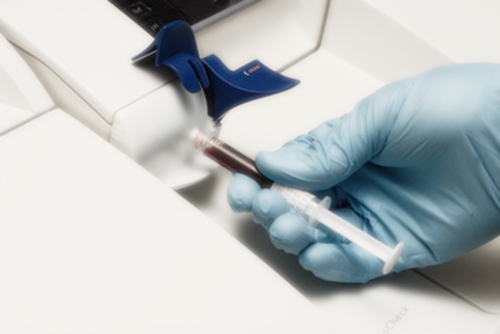 A blood gas interpretation can help the doctor know about your overall clinical status and tell him about how your treatment needs to be maintained. For example, physicians often use the ABG results to change ventilator support level, change the level of electrolyte and fluid therapy, etc. Before a major or big surgery in order to chart a plan for patient's care and treatment before, during and after the operation. It might seem that evaluating and interpreting the results of ABG is difficult. However, if you take a step-by-step approach and follow the directions stated below, you won't have any issues in interpreting the ABG results. The condition of oxygenation or the oxygenation status is an important factor and should be a part of any respiratory function analysis. The oxygenation status should be known when considering ABG results. If the level of oxygen is found to be lower than standard, it can be an indication of hypoxia. If the pH level is less than or equal to 7.35, it can be thought of as acidosis. If the pH level is greater than or equal to 7.45, it can be thought of as alkalosis. For finding out the PaCO2 level, one first needs to check the CO2 level. When talking about respiratory imbalance, it is important to note that pH and CO2 content share an inverse relationship with another. This leads to the conclusion that if content of CO2 is high and the level of pH is equal to or less than 7.35, it can be thought of as respiratory acidosis. Similarly, if the content of CO2 is low and the level of pH is greater or equal to 7.45, it can be thought as respiratory alkalosis. In the case that CO2 content lies within normal limits, any respiratory issue can't be responsible for the imbalance. In metabolic imbalance cases, there is a direct relationship between the content of HCO3 and the pH level. This leads to the conclusion that for a pH level of over 7.45, the content of HCO3 will be higher than 26mm/Hg. Similarly, for a pH level below 7.35, the content of HCO3 will either be lesser than 22mm/Hg or be within the normal range. The arterial blood gas interpretation conclusion in this case would be that it is a case of primary acidosis (respiratory) without any sort of compensation. This conclusion can be reached by seeing the low pH level which is indicative of acidosis (acute acidosis) along with seeing the high CO2 level and normal HCO3 level which are indicative of a respiratory problem and not a metabolic one. In simple words, it is a case of type 2 respiratory collapse. In this case, as the CO2 level is within range, hyperventilation can be discarded in the ABG interpretation. Since the pH level is high, it can be a case of alkalosis. Thinking about the possible other cause of hypoxia, this can be a metabolic alkalosis. In this specific case, the alkalosis can be due to diuretics. And the patient can be suffering carbon monoxide inhalation, and this in turn explains the patient's hypoxia. Server responsed at: 04/20/2019 10:08 p.m.